Millennials have miraculously managed to not kill timeshares, possibly because the business model relies on preying on the elderly. In late December, Diane Burkhart sent a complaint to the FBI describing how her 88-year-old father agreed to purchase $250,000 worth of timeshare points over the course of 18 months, from 2016 until late 2017. In 2018, he was diagnosed with dementia. He is now 89 and living in a nursing home, Burkhart says. His wife passed away last May. 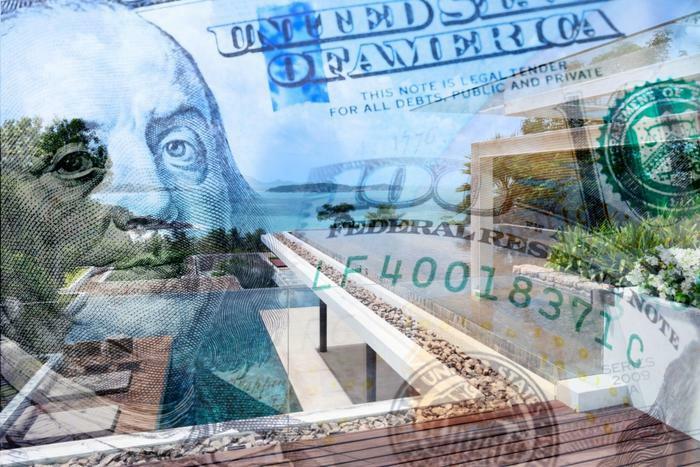 The couple purchased the points from Diamond Resorts International, a $2.2 billion timeshare corporation that claims to hold about 400 properties worldwide. As Burkhart detailed in her FBI complaint, her father was 87 at the time, enjoying a day trip to the beach with his wife at a town about thirty miles from their house in central California, when they came across a charming hotel. Unbeknownst to them, the property had been purchased by Diamond. Salespeople standing outside by the property lured the interested couple into a timeshare sales pitch, Burkhart says. She writes that they immediately regretted the purchase. It was only the beginning. “Shortly thereafter, Diamond told them they needed to go to a meeting to learn how to use their points,” Burkhart wrote. The meeting turned out to be another lengthy sales pitch. It’s not the first time that consumers have described possible elder abuse in the timeshare industry, which has reinvented its business model in recent years. Timeshares used to be tied to a specific property, where people who owned partial deeds had the right to vacation for a set amount of days each year. But in recent years, the industry has instead switched over to “points,” or the concept of being part of a vacation club at any hotel of your choosing. While the industry claims that “points” are no different than a deed, simply with more flexibility, consumers have noted that points appear to have no intrinsic value because they can’t be resold, making memberships that were purchased for hundreds of thousands of dollars essentially worthless on the resale market. Some consumers also claim that the concept of “points” may be intentionally confusing to the elderly. “Their value comes from using it,” the timeshare industry’s top lobbyist told ConsumerAffairs in January, admitting that points have no resale value, while claiming that consumers don’t mind this because the value comes from the experience. Which makes the sale of timeshare points to people who are running out of time all the more questionable. In 2016, an 81-year-old in Ventura filed a class-action lawsuit against Diamond, one of several lawsuits that have cropped up in recent years, saying that he was sold $50,000 worth of timeshare points that he did not want. The man said that he was lured into the pitch after Diamond sent a bus to his assisted-living home in California. Diamond then subjected the seniors to an aggressive timeshare pitch in Nevada, he alleged, a tactic that his attorney told Courthouse News was common in the industry. In addition the class-action consumer lawsuits, the state government in Arizona has also piled on. In 2017, Arizona’s Attorney General announced that an investigation revealed “that Diamond used deceptive sales practices and made numerous oral misrepresentations and false statements during timeshare sales presentations.” Diamond agreed to pay $800,000 to settle the manner. Such accusations are at odds with the image portrayed by Stephen Cloobeck, a vocal critic of Trump and a successful investor who founded Diamond in 2007 with a group of other Wall Street investors. Cloobeck was crowned as the world's most generous boss for his likeable stints on the show Undercover Boss. Though he is no longer the CEO of Diamond, he recently wrote a book about the ins and outs of providing good hospitality service based on his experience at Diamond. In January, when ConsumerAffairs first reported on Burkhart’s story, Diamond’s press team said that they hoped to resolve the matter shortly. The timeshare industry has claimed that unsatisfied owners can easily return points that they don’t want, and in that regard, Diamond has said that its own special Diamond Clarity program offers exactly that. “We encourage all members with any questions to contact us directly so we can work together and identify solutions that are built with their best interests in mind,” Diamond’s press team added. ConsumerAffairs recently contacted Burkhart again to find out if her complaint did, in fact, result in a solution “built with [her] best interests in mind.” Burkhart replied that Diamond offered to forgive the loan on her father’s most recent and especially questionable Diamond purchase -- a points contract that he bought in late 2017 for $116,000. The purchase was made possible with a loan issued by Diamond and Barclays credit card, also issued by Diamond. Before she signed the forgiveness agreement, Burkhart told ConsumerAffairs that Diamond agreed to forgive the $116,000 loan on the condition that the family agree to a “non-disparagement” clause. The family must also waive their right to pursue the other timeshare contracts. Burkhart asked Diamond to modify the agreement so that she could possibly get the other timeshare loans cancelled. She also requested that the $116,000 loan be completely rescinded and cancelled, rather than forgiven. Otherwise, she fears that her father will still owe taxes on it. “The big issue is the 1099 in my mind,” Bukrhart wrote. In an email, Diamond responded to Burkhart that it would not accommodate any of her requests on the loan agreement, with a representative simply referring the decision back to Diamond's legal team. Burkhart said that as a result, she would probably just accept Diamond's offer as is. After all, consumers unhappy with their timeshare purchases tend to have little recourse. The timeshare exit industry, which promises to help people cancel their timeshare contracts, is also notorious for fraud. The agency did not respond to follow-up questions about whether Diamond is reevaluating its sales tactics. Diamond is not the only timeshare company to face accusations of deceptive sales tactics and elder abuse, though, according to a 2016 New York Times article, they have the reputation of being particularly aggressive. Still, the hours-long hard-sell has long been known to be the industry's bread and butter. Despite the seemingly outdated business model and questionable tactics, the industry is apparently doing better than ever. The industry's lobbying group bragged last year that timeshares made $9.6 billion worth of sales in 2017. Wyndham Vacation Ownership, another major United States timeshare company, said in a press release late last year that millennials are “raving” about timeshares. However, a Wyndham employee won a $20 million judgement in 2016 after she alleged that the firm actually made its money by pouncing on the elderly.